A strategic cooperation between ExoAnalytic Solutions and NorthStar Earth & Space was announced at the 2019 Space Situational Awareness Conference in London. The two companies will collaborate on the development of new commercial services to protect satellites and other high-value space assets from potentially catastrophic collisions with space debris and other orbiting objects. The comprehensive global telescope network of ExoAnalytic Solutions and the sensors deployed on NorthStar's satellite constellation, will combine to enable space situational awareness information of unique dimension, precision and timeliness. The threat posed by space debris is common to all space operators. On February 10, 2009, two artificial satellites, Iridium 33 and Kosmos-2251, collided at a speed of 11,700 m/s and an altitude of 789 kilometers. On March 27, 2019, a satellite was destroyed during a test mission. These events created thousands of pieces of debris, increased space congestion, and upped the threat level of collisions with other satellites which provide essential services to the population of Earth. According to the European Space Agency, as of January 2019, there are an estimated 129 million space debris objects in Earth's orbit. The estimate includes 128 million objects smaller than 1 cm, 900,000 objects between 1 and 10 cm, and 34,000 objects larger than 10 cm. Precise knowledge and prediction capability of the orbits of these objects is essential for continued safe operations in space. ExoAnalytic Solutions was designed from the ground up to provide traditional defense contractor services with exceptional compliance, accountability, and quality — and to do so with the speed and innovation of a Silicon Valley tech startup. Founded in 2008 by three career physicists, the company's earliest employees and executives were selected for their belief in that vision and their commitment to technical excellence. Stewart Bain, the CEO of NorthStar Earth & Space, said the company is pleased to create this cooperation with ExoAnalytic Solutions. Collaborations between trusted partners and nations are essential to safe operations in space. 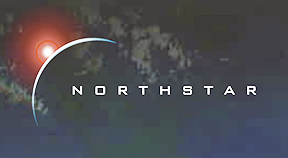 The NorthStar information platform will use a 40-satellite constellation to collect precise information on the location of resident space objects (RSO's) and use advanced analytics and algorithms to accurately predict potential collisions and protect high-value assets in space. Driven by proprietary space-based measurements and algorithms developed by NorthStar Earth & Space, NorthStar's Space Situational Awareness service, will have the ability to identify, track and precisely predict the trajectories of hundreds of thousands of objects in Earth's orbit, now classified as space debris. "Congestion in space is a clear and present threat to all space faring nations and managing assets in space is everybody's business," said Doug Hendrix CEO of ExoAnalytic Solutions. "Satellite operators need independent, accurate data sources and tools to enable them to make smart decisions in real time. ExoAnalytic Solutions and NorthStar Earth & Space will offer the highest quality SSA data, tools and services to help ensure safe access to space for future generations."